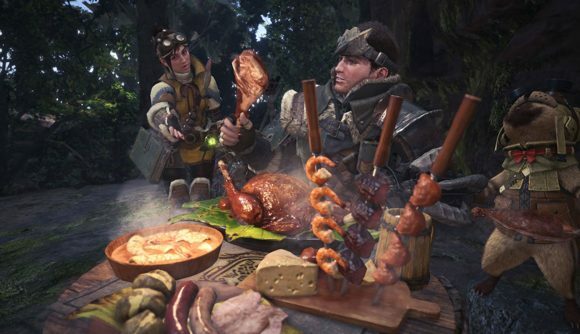 Capcom was the very best publisher of 2018, at least according to the scores its games received from critics. The company garnered an average review score of 79.3 across all its games, from well-regarded collections to excellent new releases – just check out our Monster Hunter: World review for the biggest example. Review aggregator Metacritic breaks down the numbers and ranks 2018’s big publishers according to a formula that accounts for average review score and the percentages of good, bad, and great games released in the calendar year. Capcom sits on top whether we’re talking about that formula or a raw average of scores. Among “major publishers” – which Metacritic distinguishes as any company that put out 12 or more games that got enough reviews to be ranked – Capcom is followed up closely by Sega and EA. Apparently consistent releases of solid sports games and shooters will do wonders for your average reviews – EA reached number three on the list, despite the fact that the company’s best-reviewed game, FIFA 19, got a solid but unimpressive average of 83. THQ Nordic holds the dubious distinction of rounding out the bottom of the list, at least among the major publishers. Of its 47 releases in 2018, only five reached the minimum average of 75 to be considered ‘good’ by Metacritic’s metrics. Some big-name companies did not have the 12 releases necessary to be considered big here, though. The ‘mid-size publisher’ list tops out with Paradox Interactive and Activision-Blizzard, and Take-Two, Bethesda (Fallout 76 scores and all), Microsoft, and Devolver all have solid numbers despite not being quite so prolific in 2018. Capcom hit top marks in 2018, and as the Resident Evil 2 scores show, it’s off to a strong start this year. The impending Devil May Cry 5 release date will provide another chance for the company to impress – but here’s hoping that every game released in 2019 is good. That’s not too much to wish for, right?